The School is located along E. Jacinto St. and Magsaysay St. The three-story building is the MINUTE Building which hosts the offices of the Dean, Faculty Room, Office of the Research and Publications, Office of Training and Extension Services, Library and the Graduate and Administrative Offices, while the Pre-Fab building serves as classrooms for the students. Since June 2000, the U.P. 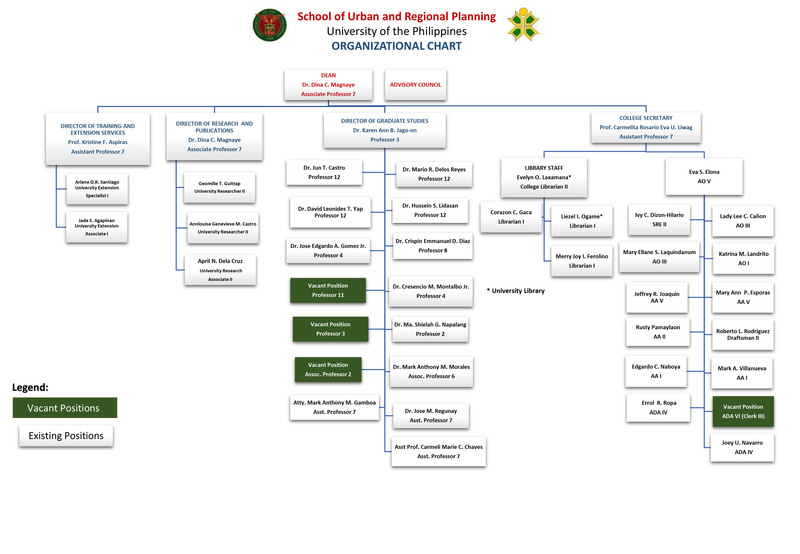 School of Urban and Regional Planning has been offering the graduate Diploma, Master of Arts (M.A.) and Doctor of Philosophy (Ph.D) programs following the ladder structure. Courses taken in the lower degree (e.g. Diploma) are credited in the next higher degree (e.g. M.A.). SURP also offers the Master of Science in Regional Development Planning (MScRDP) as a joint offering of UP-SURP and the Technical University of Dortmund (TUDo) in Germany. This two-year program is aimed at regional and district development planning, with emphasis on rural areas. The first year of the program is spent at TUDo and the succeeding year at the UP-SURP. The School actively engages in research, either independently or in cooperation with government and private institutions. The School is very active in training and extension work, maintaining a working relationship with several government inter-agency planning committees. Much of its training and extension work helps improve the quality of planning at the national and local government levels. The School is headed by Dean Hussein Sinsuat Lidasan, who exercises general supervision and control. 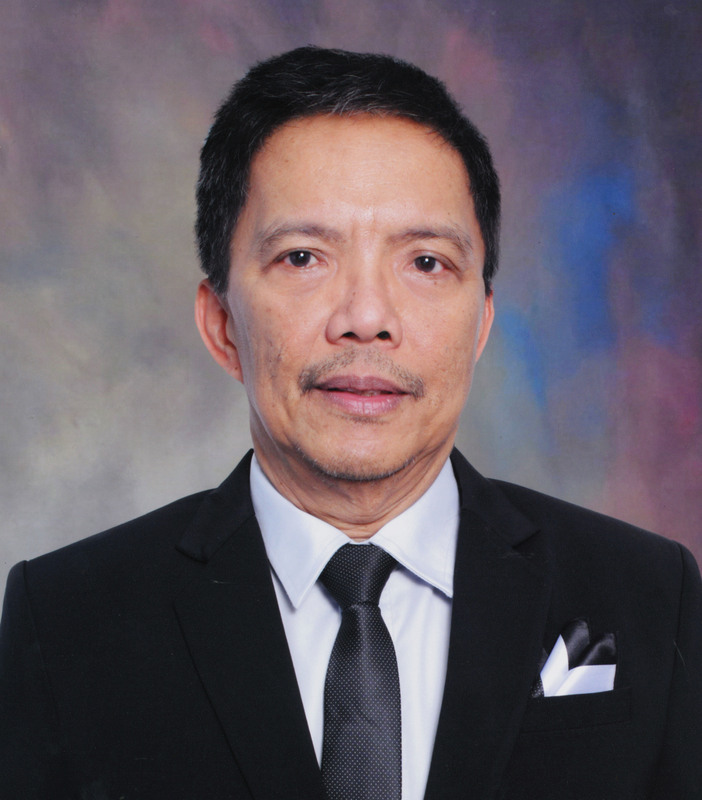 He is assisted by the College Secretary, Dr. Jun T. Castro, who takes charge of administrative matters related to the academic personnel and the Administrative Officer, Mrs. Luzviminda C. Rivera, who takes charge of administrative matters relating to non-academic personnel. There are three (3) directors who help in the policy formulation and program development, namely: Dr. David Leonides T. Yap, Director of Graduate Studies; Dr. Crispin Emmanuel D. Diaz, Director of Research and Publications Division; and Dr. Jose M. Regunay, Director of Training and Extension Services Division. At present, the School has nineteen (19) full-time faculty members, seven (7) lecturers, five (5) research and extension personnel, and eleven (11) administrative staff.